Every business needs promotional activities to succeed. 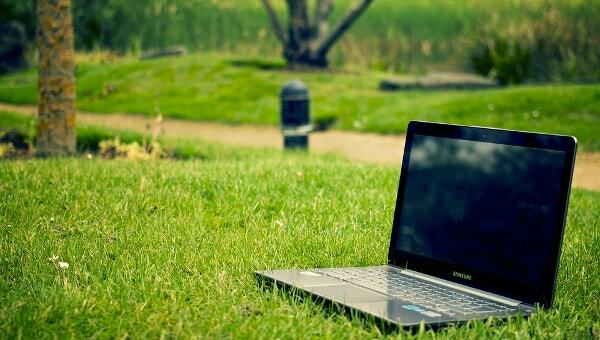 You need enterprising content such as brochures for your marketing needs. These Sales Brochures serve as an educational tool as well for the consumer. These brochures contain specifications and details of your products. 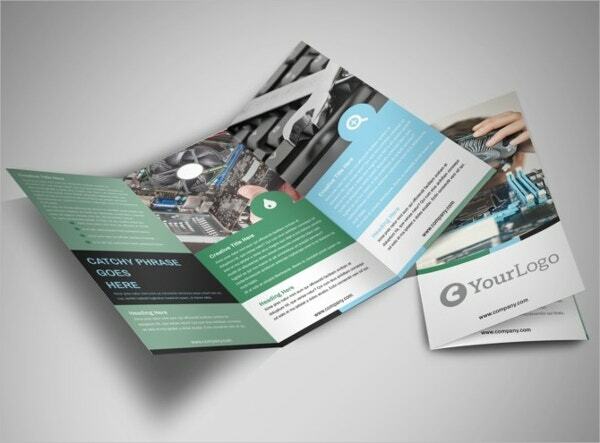 These computer brochures templates are perfect for the computer repair and servicing industry. They come with various attractive and customizable features. We shall see about fifteen such brochure templates for the benefit of all. This Computer Repair Brochure is a 3-fold brochure with two pages on the front and one on the backside. 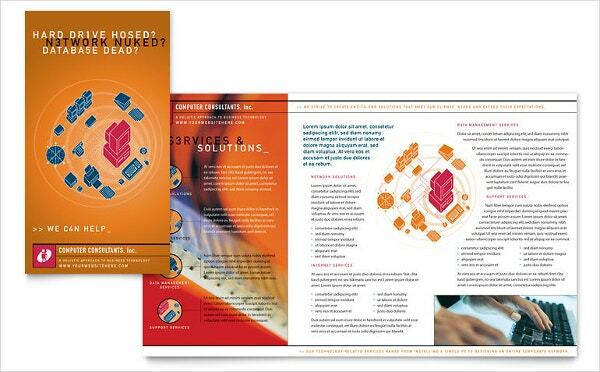 This easy to customize brochure is CMYK-print ready with 300-dpi resolution images. 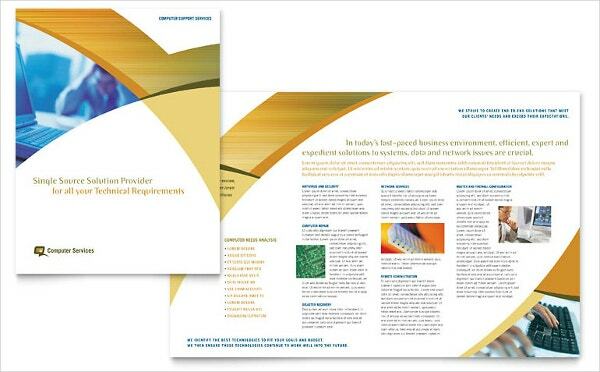 The Computer & IT Services Brochure template is a customizable one with easy-to-use page layouts. Compatible with various file formats, this brochure includes high-quality photos, backgrounds, logo designs, and original artwork. 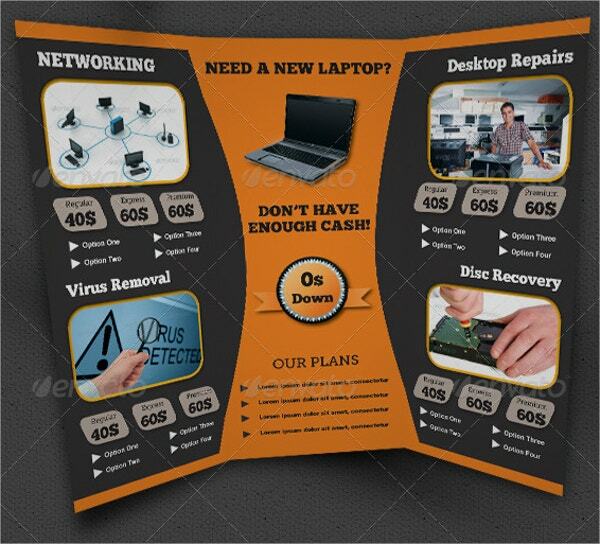 The Computer Repair Tri-fold Brochure is easily customizable as you can change colors and images as per your convenience. Including your own image is easy as well. Printing the brochure is also easy. 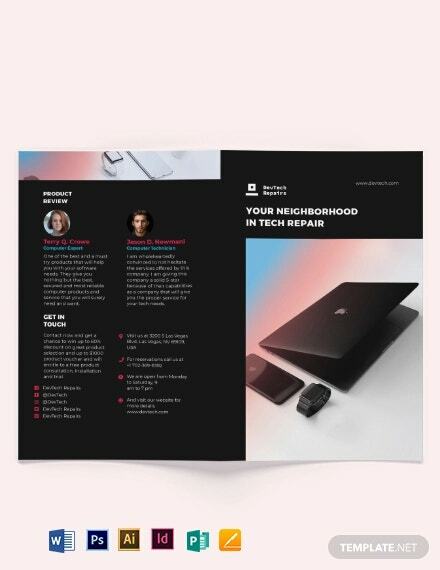 The Computer Brochure template is easy to use. You will have access to all the fonts in the source files. The template is easily customizable as you can add your own photos for personalization. 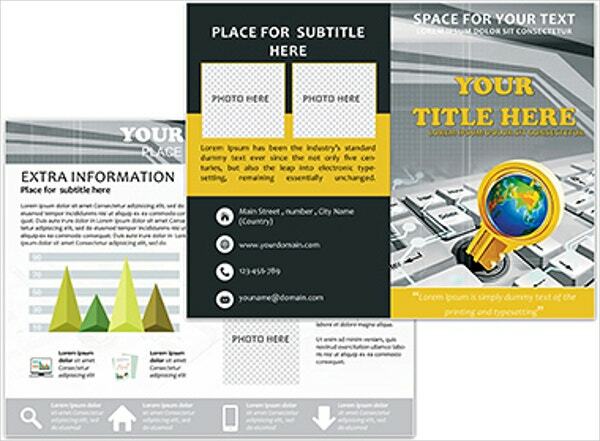 This Computer Service 4-panel brochure comes in a Photoshop PSD file format. Using free fonts, this is a fully editable template. With 300 dpi high-resolution, you get CMYK mode and print ready features. 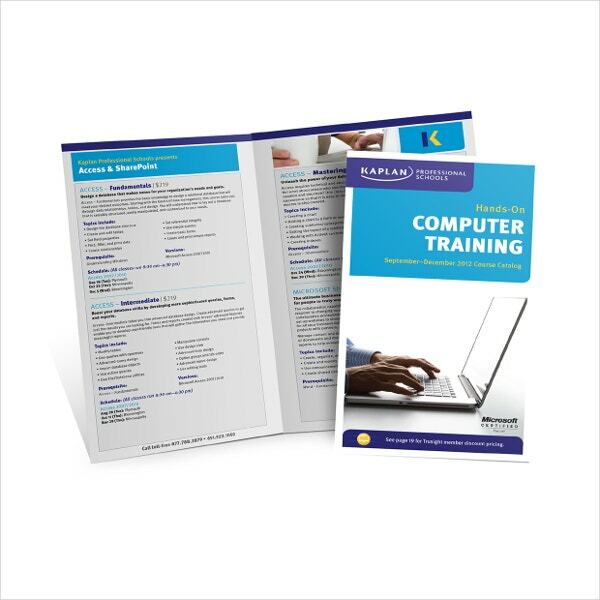 This Computer training brochure is a freely customizable one with easy editing features. You can add your own text and images as well. The template comes with high-resolution 300-dpi images and CMYK compatibility. The computer lessons brochure finds use in the computer education sector. 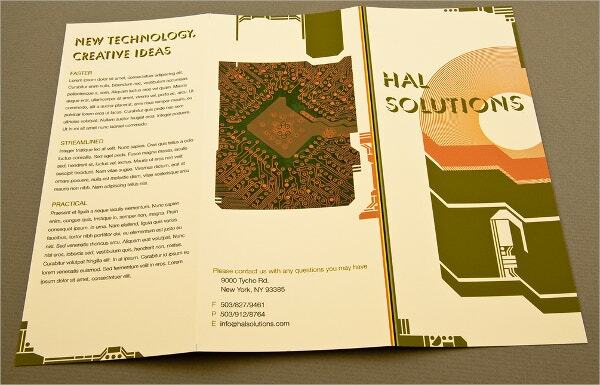 The half-fold type card comes with editable features enabling insertion of new text and images. With 300-dpi high-resolution images, this is an attractive template. 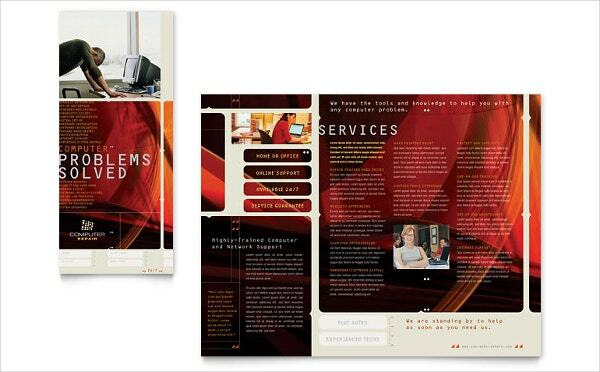 The Computer Service Trifold Brochure Indesign template is easy to customize and use. Working under CS6, CS5, and CS4, this template comes with CMYK color mode and a print ready format. 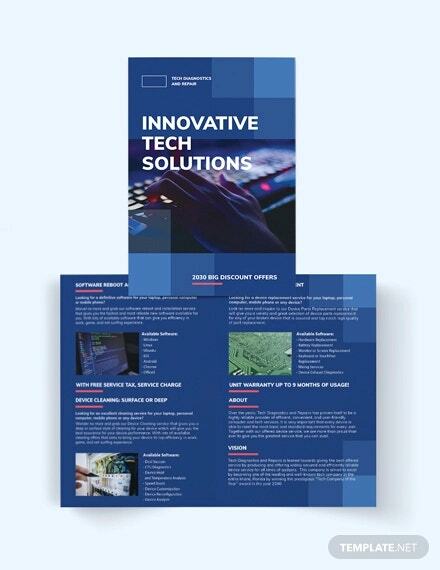 This Modern Computer Repair Brochure template is a tri-fold brochure template with editable features. It works on all kinds of compatible file formats. With CMYK mode settings and print ready features, this is an attractive template. 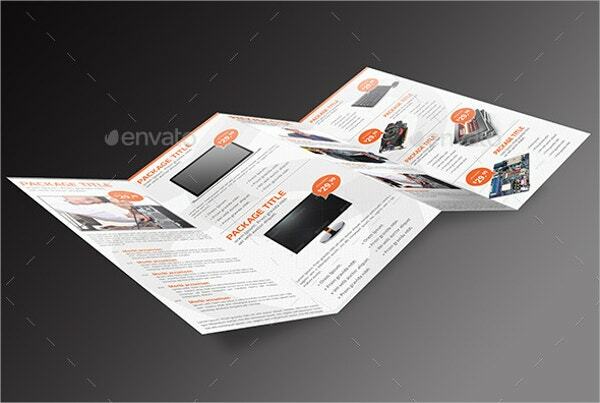 This Computer Repair Brochure template comes in a Trifold pattern. 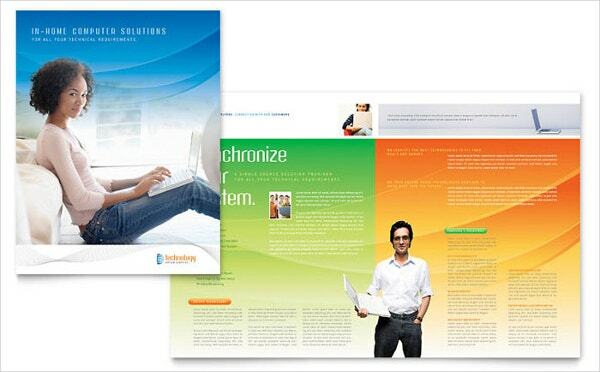 This professional brochure includes editable layout files with pictures and graphics. The 300-dpi high-resolution images and CMYK mode complete the attractive features. 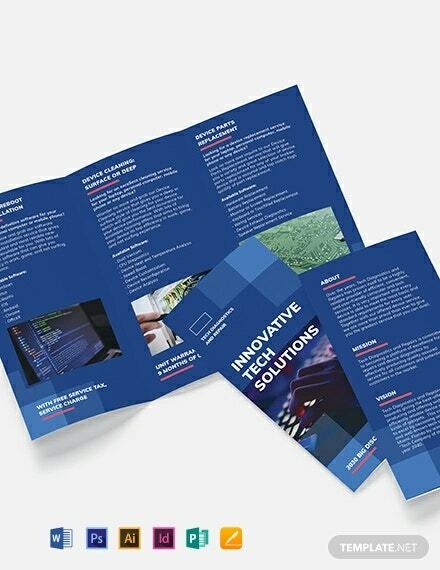 This Computer Services & Consulting Brochure template is a half fold brochure with attractive features. This customizable template allows you to change colors and text at will. The CMYK color mode and print ready features are additional qualities. 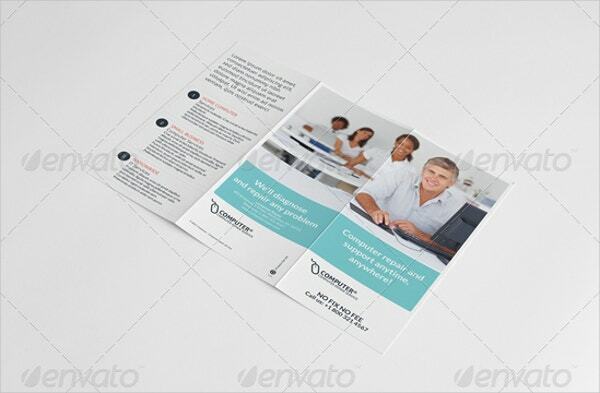 The Computer Consulting Brochure Template is an attractive one with fully editable and customizable features. The template is compatible with various file formats. With high-quality photos and original artwork, this template is a beautiful one. The JMU Computer Science Brochure comes with an editable graphic design. 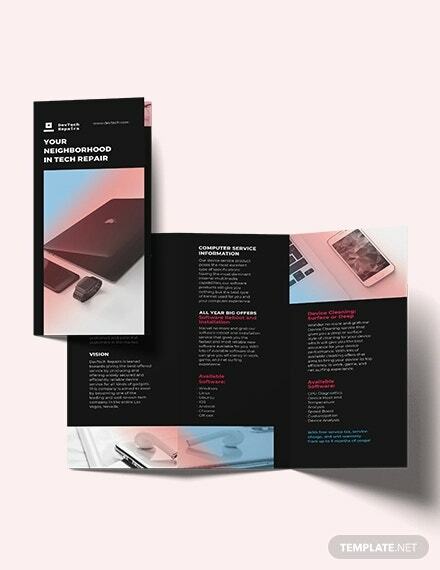 Easy to customize by changing colors and text as per your convenience, this is an attractive brochure template in all respects. 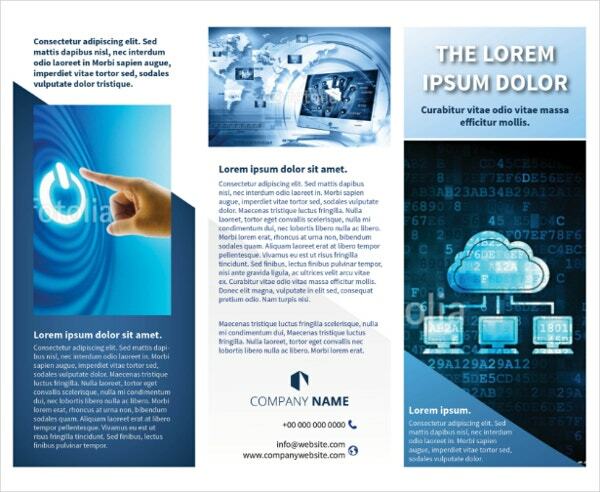 The main attraction of these Computer Services Brochures templates is the easily customizable factor allowing the user to edit texts, add photos and graphics according to the individual’s requirements. With 300-dpi high-resolution photos and CMYK mode compatibility, these templates come with many attractive features. You need these attractive features for promoting your business.